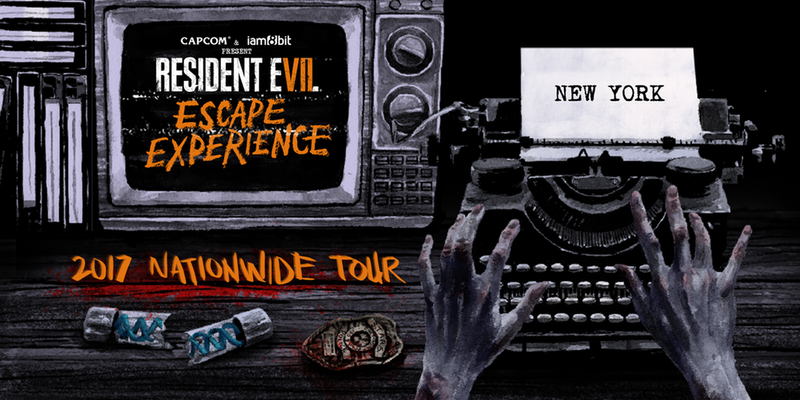 Originally a promotional event in LA for the Resident Evil 7 game, the RE: Escape Room is currently on a limited run in New York. Being a fan of the series, and not one to shy away from what I initially thought was going to be a great themed experience, I grabbed a few buddies and booked one of the available slots. I was the first one at the venue, which is an old theater – complete with a long staircase and a slow elevator- and the place was empty.. so I initially thought “Great! Maybe the zombies already killed everyone!” and I could almost hear the old school ladder sound from the original RE game. The entire experience involved 4 rooms with a series of puzzles, riddles, padlocks, padlocks and more padlocks- which you have to solve in 45 minutes. There were some amusing ties to the RE franchise- such as the use of a VCR tape, and the typical RE Crests- but generally all the other puzzles could have been any other generic horror type puzzle room. Overall it was a cool experience not because of the room itself but because of the social skills exercised to get the puzzles done. I think the experience was quite overpriced at $42/person and as a few other pointed out, that’s pretty much a few dollars short of the actual games price tag.. or a pretty good Gundam kit!